I have been the Dean of this institution for ten years and it has been a very memorable decade for me. I tried to do my best and was amply rewarded with the full support, cooperation and the friendship of all the members of the Cebu Institute of Medicine community, from the students, the members of the administrative staff, the Board of Trustees and most of all the faculty. I look at them as my second family as I have spent 54 years of my life in this institution beginning with my first year as a medical student and 49 years as a member of the faculty. 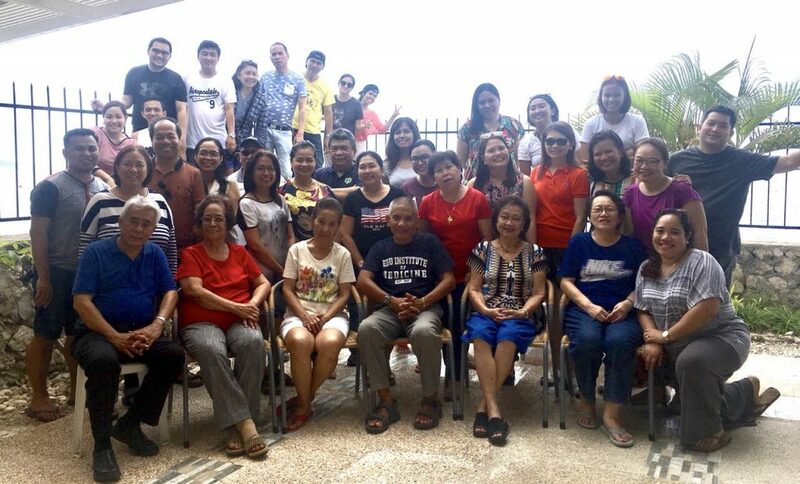 Our involvement with CIM started in 1969 when, as a young family with our three month old first born, Dr. Tomas Fernandez and myself lived with the medical interns as their faculty/residents in the compound of the just established Cebu Institute of Medicine, Community Medico-Social Services (CIM-CMSS), the community medicine rotation of CIM in Mandaue City. Living with the medical students was very stimulating, educational, fun and meaningful as a never ending familial bond was also formed with them as they went through their rotation. I consider myself very privileged to be a part of this institution, be a part of its growth and see it prosper to the heights as the top performing medical institution of learning in the country today. All these years have taught me the importance of working with progressive minded, cooperative and dedicated co-workers who without any reservation, gave so much of their time and effort to promote the mission/vision of CIM and achieve the success of which we are all so proud of. The success of the PAASCU accreditation was wholeheartedly planned by all the Committees concerned. The unstinting cooperation and support of the CIM Medical Education Unit was priceless. It inspired me to look for means to promote the growth of the faculty through CIM sponsored masteral classes with the UP- NTTC in Professional Health Education. All these wonderful colleagues with their personal and professional support made the demands of my job as Dean, of course, challenging but very rewarding. I have to admit that my person has been largely shaped by my stay in CIM because of all the opportunities to grow and excel that I have experienced both professionally and persontally. From my first year here in CIM, my efforts and dedication were noticed by its revered founder Dr. Jacinto Velez, the members of the Board of Trustees and the other key people of this institution, something that I have never ceased to appreciate. I credit my national and international recognition as a professional to my involvement with CIM. They have been very happy and fulfilling times that I would fondly treasure till the end of time. I look back with extreme gratitude for the love and support that everyone in CIM has given me through the years . But most of all if not for the loving support of my husband; Dr. Tom Fernandez, the always willing sounding board and adviser after a hectic day of administrative concerns in the office, my three wonderful boys; Thaddeus with wife Joy; Terence (who is now a CIM faculty for Legal Medicine) and wife Grace; Tudor and my four adorable grandchildren, I would not have been able to deliver what has been expected of me as the Dean. They have been the wind beneath my wings.